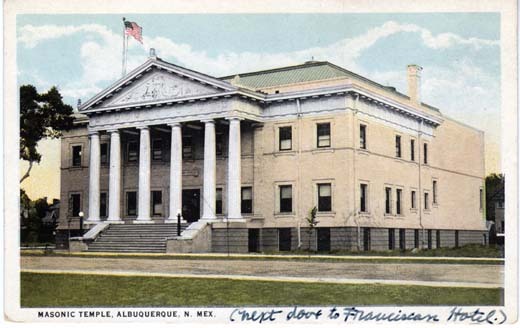 Masonic Temple, Albuquerque, N. Mex. 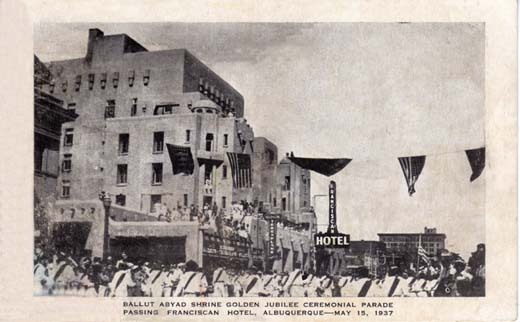 Masonic Temple, Albuquerque, N. M.
The Masonic Orders are especially strong here, having just completed a magnificent temple at a cost of over $75,000, probably the finest fraternal building in this section of the country. 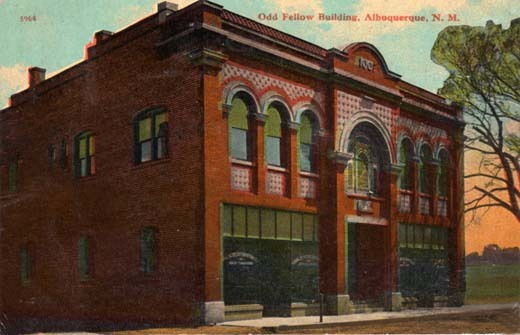 Odd Fellow Building, Albuquerque, N. M.
Strong’s Book Store, Albuquerque, N. M.